If you are looking for the best carpet cleaning services, contact Sunbird Cleaning Services. Thorough workmanship is our signature. We love what we do and ensure that you love it too. Our carpet cleaning service staff takes utmost care and pays attention to all concerns and details. We undertake all kinds of carpet cleaning and restoration services. Our staff uses state of art equipments and biodegradable products found to be excellent through their experience and knowledge to meet cleaning standards of premium quality. Sunbird Cleaning Services exquisite carpet cleaning service is at your doorstep even during evening hours and weekends. You tell Sunbird Cleaning Services your convenient timings and we will schedule your carpet cleaning accordingly. We begin with a free estimate to give you the cleanest, healthiest, fluffiest and long lasting carpets. Sunbird Cleaning Services friendly and uniformed staff would take the challenge head on and remove all dirt , pet stains and odor from your carpets and rugs. 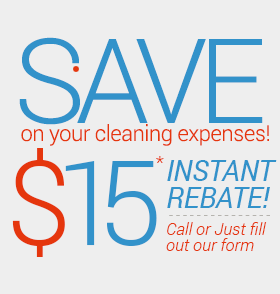 Recurring cleaning service offers are extended on a weekly or monthly basis. Long lasting cleanliness - we extract all grime, debris and dirt from carpets keeping them cleaner for longer time period. Destroys germs, dust mites and bacteria - we use the method of high powered, truck mounted steam extraction process for carpet cleaning. This kills all disease causing organisms from carpet fibers. Safe eco-friendly cleaning agents - we use safe and bio-degradable cleaning agents that are safe for children as well as pet animals. No residue - we leave no soap residue among carpet yarns. Our cleaning methods extract all cleaning agent residues leaving carpets clean and fluffy. Practice and experience has certainly made us perfect. Sunbird Cleaning Services are sure that you would be 100% satisfied.